From the inexperienced punter who places one bet a year on the Grand National to the experienced spread better, millions of us enjoy a bet. But while most people understand the simple terms, such as backing a horse, odds and accumulators, there are a plethora of other terms that can leave the punter slightly confused when placing sports betting tips. In its simplest form, sports betting needs three things – a market, odds and a stake. In a sport like horse racing the main markets are simply the races but in a sport like football, the market can refer to a specific type of bet – such as the time a goal will be scored, how many teams will score or the total amount of goals in a game. The markets go from the very simple and straightforward such as who will win a game to the number of bookings, corners or throw-ins. In some sports you can even bet on whether the coin toss at the start of the game will be heads or tails. Most people first encounter odds through horse racing where they are simple enough to understand – in the Grand National, for example, the favourite (horse which has the lowest odds, otherwise known as the shortest price) is usually around 8/1. This means you’ll get eight times your stake back plus your stake should you win. A horse at 100/1 naturally gives you a return of 100 times your stake. Odds on football and tennis matches are usually much shorter in the main markets as there are usually fewer outcomes in these sports (a horse race can have as many as 40 horses taking part). If odds such as 15/2 (between 7/1 and 8/1) get confusing, just remember the second part of the fraction is the stake you need to put on to win the first part of the fraction). The stake in the amount put on a market – in horse racing its common to back horses each-way, which means you can back a horse to win and also finish in the first four of five places (depending on the bookmaker). You’ll pay twice the stake on an each-way bet and you will win both bets if your horse actually wins the race. More adventurous punters will look beyond the simple punts on who wins a match or contest and instead look to place bets on football markets such as both teams to score (sometimes abbreviated to BTTS) or over a certain amount of goals. A common bet here is over or under 2.5 goals – a term used to decipher between two and three goals, to avoid confusion. For years bookmakers only existed on the high street and at certain sports events, but the explosion of online sports betting means bets can now be placed every minute of the day. Without being restricted to bookmakers’ hours, there are sports and markets available around the clock around the world with events in Australia and Asia taking place during the morning UK time and events over in America taking place past midnight. Online sports betting has also opened up the in-play market where bets can be placed on events taking place as they happen – not only on the winner of a golf or tennis match, but also on an event taking place in the next minute – such as a throw in or corner kick in football. Money can be won or lost in a matter of seconds. 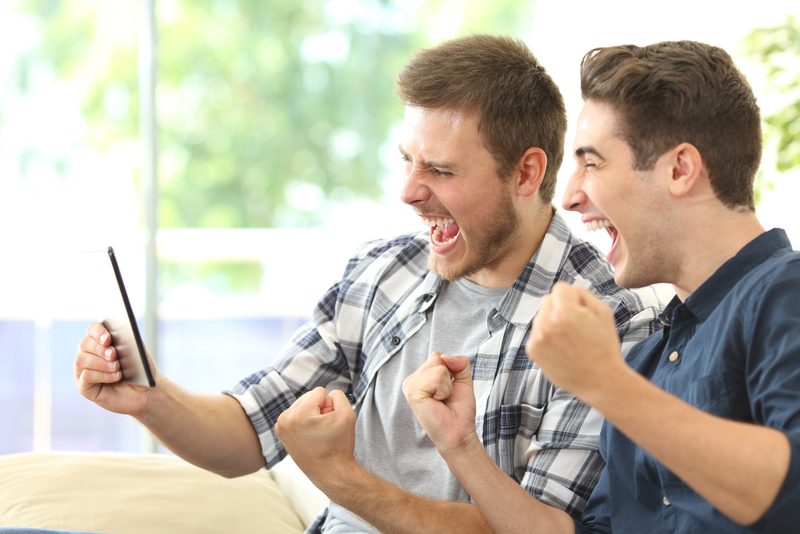 Another recent feature of online betting is that some bookmakers will let you cash out of a bet before the end of a match or other event, depending on the latest score. This can allow you to back out of a bet and take a small loss or end the bet early and take any profit if the outcome is going your way. Sports betting comes in many different forms and handicap betting is a popular alternative, especially in the USA where markets are altered to give one team an advantage. This is particularly common in American football where a lesser fancied team will start with a fictional three point handicap and you are then either backing them to win with that extra three points or for the other side to beat them by more than those three points. In football you might see a team to start with a -1 handicap. It essentially means they need to win by two goals to win the game. Asian handicap tips are particularly popular in Asia and are based on a similar system – you are backing a team to cover a fictional headstart. Rather than just back one team to win or another outcome such as both teams to score in a single game, more experienced punters may place bets on more than one outcome happening. An accumulator may involve picking three teams to win and you will need them all to do so in order to win the overall bet. The odds multiply significantly on the overall bet depending on the number of different games in the accumulator – you could, for example, chose ten teams to win on a Saturday and place one bet, needing all ten results to go your way to win the bet. Betting coupons often have accumulator bets and you may see them referred as a double (two bets), a treble (three bets up to fourfolds, fivefolds and so on. The dawn of internet betting has seen a boom in spread betting. This is different to traditional betting with a bookmaker as rather than backing (placing money on an event to happen) you are often laying (placing money on an event not to happen). For example, rather than place £10 on a horse to win at 6/1 you can lay it by stumping up the £60 and offering another punter the chance to win with a £10 stake. In a horse race you would win your stake and the punters stake if the horse doesn’t win, simple as that. It’s your chance to play at being a bookmaker for real – and you know what they say about bookmakers – you never see a poor one!